(Oct. 3, 2018 – VERNON HILLS, Ill.) The years-long drive of Incredible Technologies (IT) to innovate and create original product continues at G2E 2018 (Oct. 9-11) with the show motto “Pushing Innovation to the Edge.” The slot machine manufacturer has become known for producing never-before-seen hardware and compelling gaming content. Showcasing its newest content in Booth 4047 at the Sands Exposition Center in Las Vegas, IT is set to prove, once again, that it’s constantly pushing itself and the industry to innovate beyond expectations. In the midst of another record year of growth and market penetration, IT is positioned to capitalize upon the successes of 2018, including expansions into international markets and additional U.S. jurisdictions. The company’s most recent hardware innovation debuts at G2E. The Infinity® V55 Edge™ is the first 4K video wedge in the casino gaming industry, designed to be placed with IT’s Infinity® V55™ cabinet, which debuted at G2E 2017. The Edge elevates and showcases the performance-leading V55 with stunning motion graphic videos in crystal-clear resolution. IT will display a myriad of configurations, including a never before seen sawtooth-shaped layout, and available video content at G2E – emphasizing the flexibility and configurability of the Edge. In addition to the Infinity Edge Display debut, IT will launch dozens of brand new titles for all existing product lines, including its first-ever multi-game, Incredistars: Money™. The Infinity V55 title unites three of IT’s biggest hits, Crazy Money II®, Money Rain®, and Money Roll®, on a new form factor with bigger and better than ever bonus events. 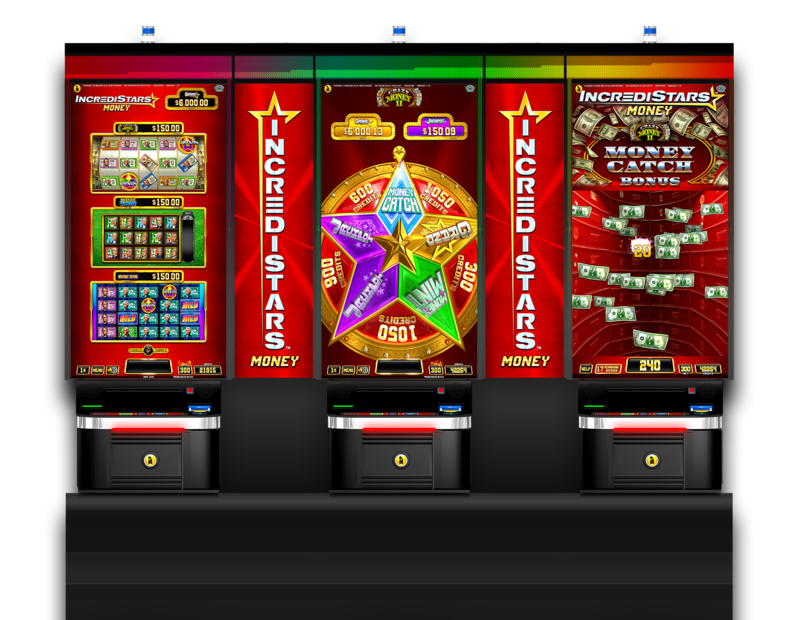 A massive catalog expansion for the V55 cabinet includes new games such as Clinko™ titles; Winning Wall™ and the return of the smash-hit, King of Bling®. An American-themed Freedom Fortunes™ follows up IT success Many Fortunes™, released earlier this year. Sky Dragons™ capitalizes on the success of Money Rain® 2 and the iconic Money Reel™. Original game families debut in titles, Club 777™, Bars Up™ and DreamStar™. IT is also releasing its first-ever high limit V55 products, the industry-leading hits Heat ‘Em Up Power Wheel™ and Fate of the 8 Power Wheel™ in VIP format. New gaming content for the Infinity Skybox and Infinity U23™ will also be on display with new game families, as well as additions to existing families. Incredible Technologies will display its latest products October 9-11 at the Las Vegas Sands Expo Center in Booth 4047.